Commercial and Industrial Warehouse buildings often times create excessive heat because of their design and heat producing processes inside and large scale electric ventilation systems can be difficult and very costly to implement.. 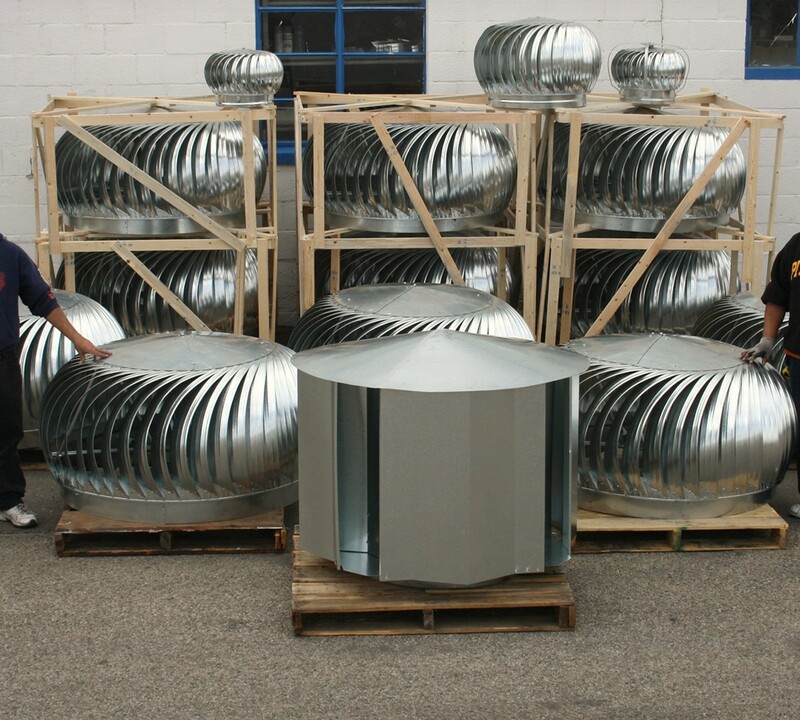 Larger turbine vents up to 48 inches in diameter (4 foot round connection) can transfer large volumes of hot air from inside a commercial building to the outside. Once installed, operating costs are non existent. 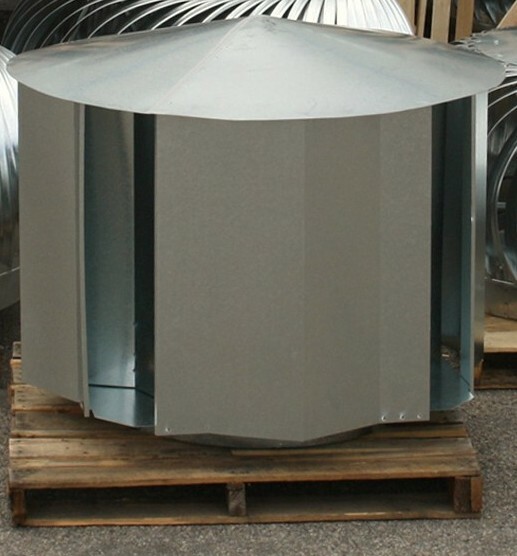 Having Trouble Finding Quality, Long Lasting, Large Sized Roof Turbine Vents? Dave writes these informative blog posts and he'll answer the phone or call/email you back quickly if you have questions. 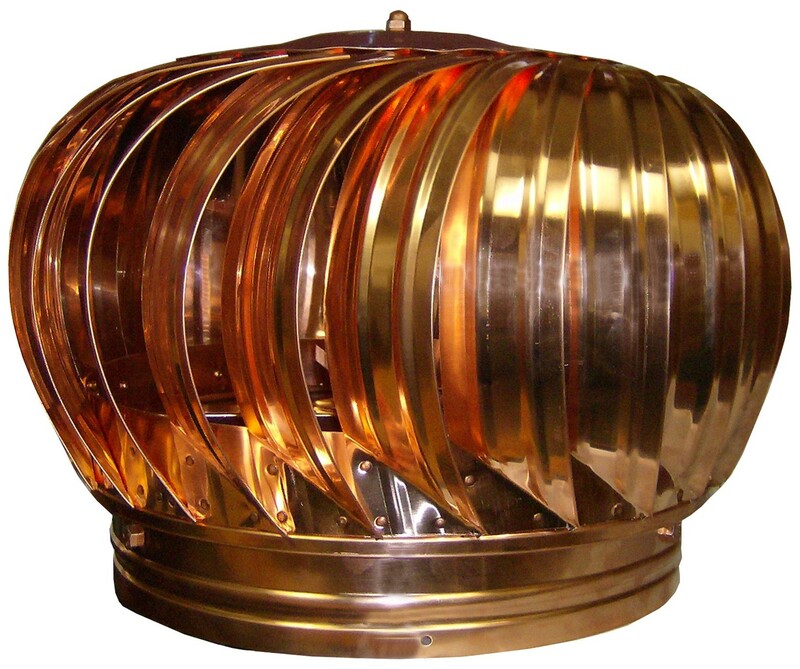 Rotary Turbine Vents can be used for a variety of different structures including: home attic ventilation, commercial and industrial ventilation, agricultural and warehouse ventilation, composting toilet and outhouse vent covers, storm shelter and tornado shelter vent caps, shipping and storage container vents and landfill and environmental gas venting. 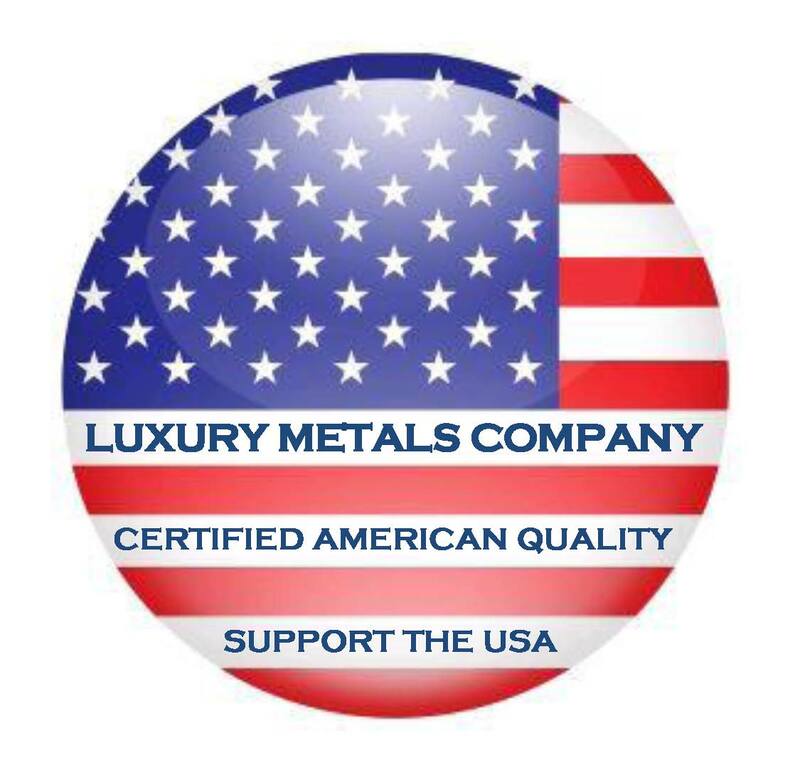 Luxury Metals offers turbines in a full range of sizes including the hard to find 4", 6" & 8" sizes, and 16", 18", 20", 24", 30", 36" and 48" sizes. 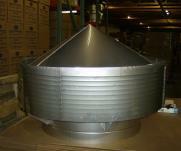 Materials available are Aluminum, Galvanized, Stainless Steel and Copper. We sell internally or externally braced (high wind braced) versions of these vents. Call or email us with your building type, building use, roof type including roof pitch, square footage, ceiling height, current ventilation method as well as your shipping zipcode and we will promptly assemble quote with general recommendations for the amount of ventilation needed. Online pricing does not apply for large style vents or large quantity quotes. A custom quote is needed. Larger commercial customers can set up a credit account by filling out this form or emailing us your pre-populated commercial credit application.